Oz Electric is a full service electrical design and construction company located in central Suffolk county. With twenty years experience in residential and commercial oz electric can satisfy all your electrical needs. 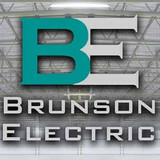 Brunson Electric, LLC is a leading Fairfield County electrician with a single mission: complete customer satisfaction! We strongly believe in giving our customers the most electrical support for their money. So, we work with only the highest quality materials, experienced and professional craftsmen. We have consistently focused on the electrical needs of our customers, providing personalized attention and a stress free experience. If you're looking for electricians that will respect your home, keep it clean and get your job done in a timely manner, give us a call! This approach has set us apart and made us one of the leading electricians in Fairfield County. Brunson Electric is committed to providing you with the highest quality electrical work while delivering superior service every step of the way. We have the skills, knowledge, and attitude to make your vision a reality. AWR Electrical Contractors LLC is a fully licensed and insured company based in North Jersey with over 15 years experience in the field. We are a family owned and operated company built on hard work, honesty and reputation. Our goal is to provide the best possible service and 100% satisfaction is guaranteed. We offer clean, friendly service at a cost that is competitive with other professionals in the area. Mikulka Electric is one of New Jersey's most professional electricians. With years of experience, we devote our time and energy into making sure your project is completed with attention and quality. Peter, the owner, works to build relationships with our customers and is always available to our customers. As well as his professional attributes he also is fluent in American Sign Language. Our technicians are trained in installation and troubleshooting all components of your electrical system whether your home is equip with the old standard of knob and tube or with today's current Smart technology. We are your local Smart Home supplier for Z-Wave products. No more frustration with half completed jobs or inexperienced service pro's! We are here to provide the utmost customer service. Call us with your electrical needs today and we will be out swiftly to address the problem! Family owned and operated, our relationship with our customers is important to us. We treat each customer who calls as if they were part of the Mikulka Family. From initial contact to our follow up, we endeavor to be available, convenient, and responsive to all our customers. 100% Customer Satisfaction is our daily goal. The staff at Mikulka Electric knows that a job is not complete until the customer is 100% satisfied. RF Electric is a South Plainfield NJ based, independent contracting company. We provide service to residential, commercial, and light industrial clients. RF has been satisfying customers since 1986 in Somerset, Mercer, Hunterdon, Middlesex, Union County, and surrounding areas. As a seasoned Massapequa electrician, Harbour View Electric Inc is licensed, insured, and up-to-date on all of the latest safety codes and requirements. And when you hire Harbour View Electric Inc, you can feel confident that your project will be addressed in a methodical, thorough fashion. As a customer, you can expect all work to be completed in a neat and orderly manner. Reasonable rates Prompt, reliable service Flexible appointment scheduling When you work with a professional electrician like Harbour View Electric Inc, you can rest assured that you'll have all of your questions answered and concerns addressed before your project even begins. For more information or to request a quote, call Harbour View Electric Inc today. We pride our company on reliability, great communication, integrity and quality work. We are experts in our trade and will do our best to keep you as educated as we can on your particular task or project. We look forward to earning your business! 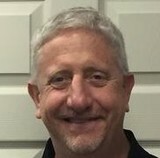 Mike Masotti, owner of MM Electric, is based in Wall, Belmar and Spring Lake, NJ and is a licensed electrician serving all of Monmouth and Ocean Counties in New Jersey . He offers complete, professional electrical services including installation of recess lighting, pool system wiring, ceiling fan installations, and more – all at reasonable prices. Gasso Electric provides comprehensive services to residential and commercial property owners in Fairfield, CT. If you're searching for a proficient electrician with the experience to handle a special project, you can count on our technicians to provide exceptional service for a reasonable price. With over 30 years of local industry experience, our fully licensed and insured crew is prepared to manage most any task you require. Some of the jobs we're frequently called upon to perform include: electrical design and interior lighting design, residential and commercial new wire installation, electric panel installation and repair circuit breaker installation and repair. Whether you're preparing to build a new home or business or you need help with repairs or an installation, you can be confident that our master electrician, David Gasso, has the expertise and equipment to manage the job. We're proud to offer our extensive services to our neighbors throughout the Fairfield area, and we take personal reward with the completion of each job well-done. We're available anytime day or night for emergencies, so call Gasso Electric today. We pride ourselves on customer satisfaction, and make sure all work is neat and not only meets the Electrical code but exceeds it. I am a Fully Licensed and Insured Master Electrician. EASTERN POWER ELECTRIC is an electrical contracting company located in the NORTH JERSEY AREA. We are committed to provide our customers with high quality Electrical , Fire Alarm, security and CCTV systems services. You can count on our experience to professionally and cost effectively complete your projects . Rhodes & Sons is a member of the New Jersey Electrical Contractor's Association (NJECA) and the Union County Electrical Contractor's Association (UCECA). We are also a NJ certified Small Business Enterprise, NJ Schools Development Authority Qualified Contractor and NJ Public Works Contractor. We hope you select us as your electrician and support local small businesses.We realize that most of our success can be attributed to our happy customers. 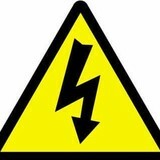 What do licensed Kew Gardens electricians do? An electrical contractor plans, installs and repairs wiring in structures. He or she works closely with the home’s general contractor or remodeling contractor to determine the specific electrical needs for the project and to ensure that the wiring will meet Kew Gardens, NY building codes. An electrical contractor’s job also includes installing and repairing fixtures, switches and other visible components of electrical systems. With today’s technological needs and advances, many electricians in Kew Gardens, NY also are trained to install fiber optic and coaxial cables for electronic equipment. Certain electrical companies may design and install data systems and wire for security features such as alarms too. Some Kew Gardens electrical contractors specialize in specific areas, such as HVAC, low-voltage appliances and systems and more, so be sure to ask about their training to see if it fits your project needs. Find a certified Kew Gardens electrician on Houzz. Narrow your search in the Professionals section of the website to Kew Gardens, NY electrical contractors. Here are some related professionals and vendors to complement the work of electricians: Lighting Showrooms & Sales, General Contractors, Solar Energy Contractors, Heating & Cooling Sales & Repair.